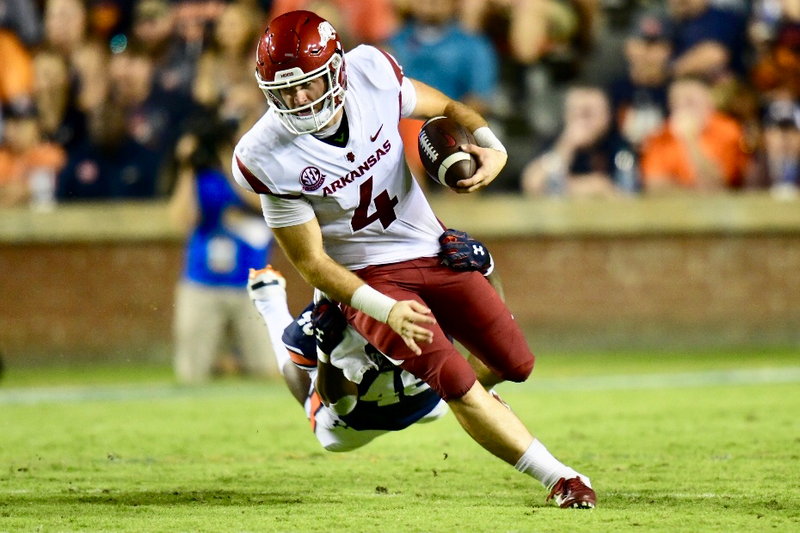 AUBURN, Ala. – A stout defensive effort was not enough to overcome the Auburn attack as Arkansas (1-3, 0-1 SEC) fell 34-3 to the Tigers (3-1, 1-1 SEC) in the team’s first conference game of the season. On 3rd and goal at the Arkansas three-yard line, sophomore Kamren Curl made a goal-line stop that led to Auburn settling for a field goal. On 4th and 1 with Auburn in the red zone, De’Jon Harris and Michael Taylor tackled JaTarvious Whitlow for a loss of one and a turnover on downs. Connor Limpert made a field goal from the 29-yard line to put Arkansas on the board.